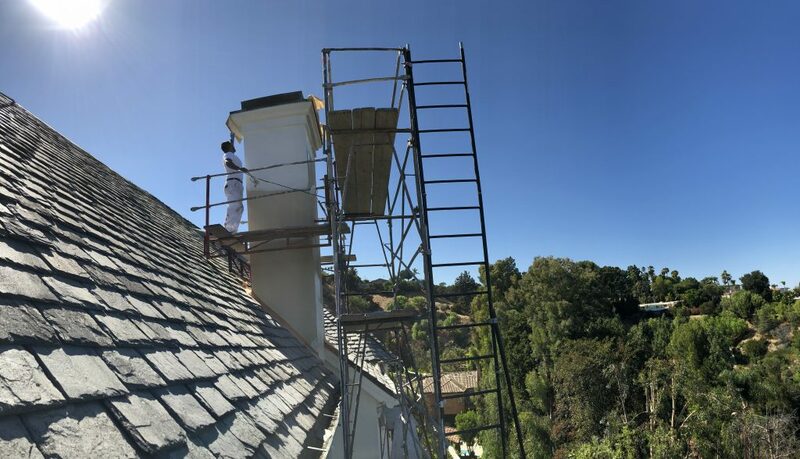 HOA (Home Owners Association) painting is delicate, precise work. Many different particularities, rules, regulations and tastes have to be followed to the level. On top of that, the job has to be done at the absolute highest question. More importantly, the paint job must be reasonably priced as well. That way, the paint service delivers value to tenants immediately as well as long into the future. That’s exactly the kind of paint service we offer here at Just Right Painting. With years of experience with HOA (Home Owners Association) painting, we’re ready to take on your job. We can put that experience to use for you, so that we can deliver the most complete and thorough job possible. You never have to worry about our painting, as we’ve provided this service to many different HOAs over the years. We’d love to sit down with you and figure out a way that we can best serve your Home Owners Association. One of the best things about a HOA is how it brings an entire community together. That’s what we hope to do with our painting. It makes everyone’s building in the HOA look better, so that the whole community is improved. Freshly painted homes, apartments and more in your HOA enhances the look and feel of the community. Perhaps even better, it can help to preserve the surfaces. That way, your homes look better for longer, too. That kind of added protection is one more benefit of our painting. Something like HOA (Home Owners Association) painting is too important to be left to amateurs. Just Right Painting is fully insured, licensed and bonded. That means we have passed every test, and follow every regulation. We provide excellent paint service as well as peace of mind with everything we paint. It’s a point of our pride at our company that we treat every single building like it was one we personally own. Every paint job is another opportunity to make something that lasts. As great as living in a HOA can be, not everyone decides to live there forever. Re-selling your HOA is one more thing that our painting can assist with. A fresh coat of paint can help to raise the resale value. It can even help to increase the rental rates of the home or apartment, should you choose to go in that direction. There are many different methods you can use to try to raise the resale value of a building, and a fresh paint job is one of the most cost-effective. Instead of shelling out for large improvements, go for the biggest changes for the least amount of money. We understand that you may have a lot of questions about our HOA (Home Owners Association) painting service. To that end, we make it very easy to communicate with us. That way, you’re always informed about how the job is going, so that you can make the best decisions for your needs. We always maintain a safe and clean jobsite, and we clean everything thoroughly once we’re finished. By hiring only the most experienced and talented painting contractors at our company, we ensure that you’re always getting the best job possible. In Southern California, the sunlight can really take a toll on a paint job. This is known as a desert area, but when the rains fall, they come down hard. 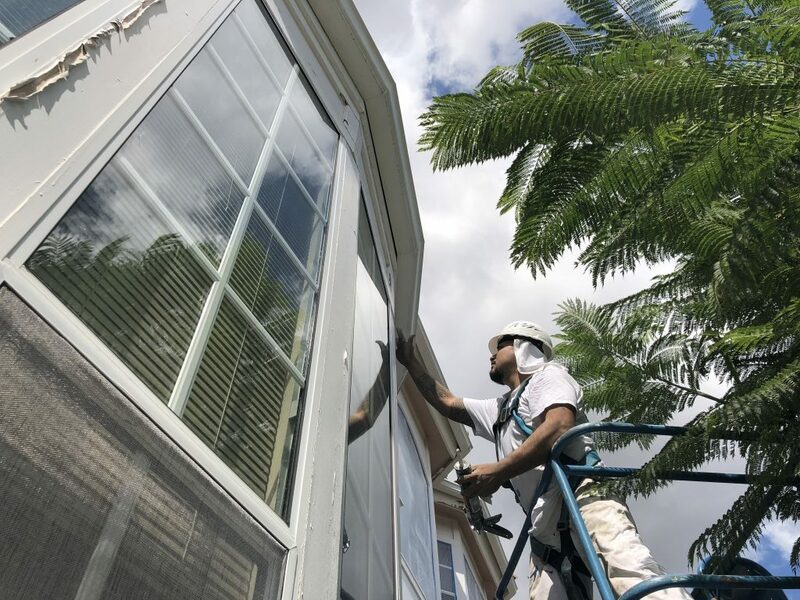 Your HOA deserves a paint job that can withstand the elements. Getting a paint job from us can reduce and slow down the natural deterioration process. So, even while the sun, rain and anything else comes down, your paint will stand strong for a longer period of time. Only the finest materials are good enough for us. That’s why we always use the best paints, materials and techniques to make everything your HOA absolutely sparkle. We specialize in any kind of building. Apartments, homes, condos and more – if it’s a building, we can paint it so it looks great. Keep in mind; we do interiors and exteriors, too. So, your building will look its absolute best on the inside as well as the outside after you contact Just Right Painting. It’s important to keep in mind that we won’t just paint the exteriors of your HOA; we’ll paint the interiors, too. Few things can dramatically alter the look of a room more than a fresh paint job. You can make the room appear to be an entirely new location after we do just a few hours of work. For new occupants, this can be a way to make a home or apartment truly their own. For someone that’s lived there for a period of time, a fresh interior paint job is a way to get a new lease on life, to look at their home in a whole new way. Being chosen to provide a HOA (Home Owners Association) painting service is a great responsibility. We’re qualified to do it, and have been doing it for a very long time. In fact, for the last 17 years, we’ve been helping HOAs to have homes that they’re proud of. We can provide references if need be. HOA members love how we’re able to paint their homes in exactly the manner they want. They also love how the work we do makes the resale value that much stronger, should they decide to move to somewhere else. For an exterior and an interior that look better than ever, feel free to reach out to us. We love to sit down with HOA members as well as anyone else who wants a good looking home. Our painting services can be customized, so that we can deliver the exact right look and feel that you’ve been searching for. Just call us at (888) 727-8417 or head over to our site.